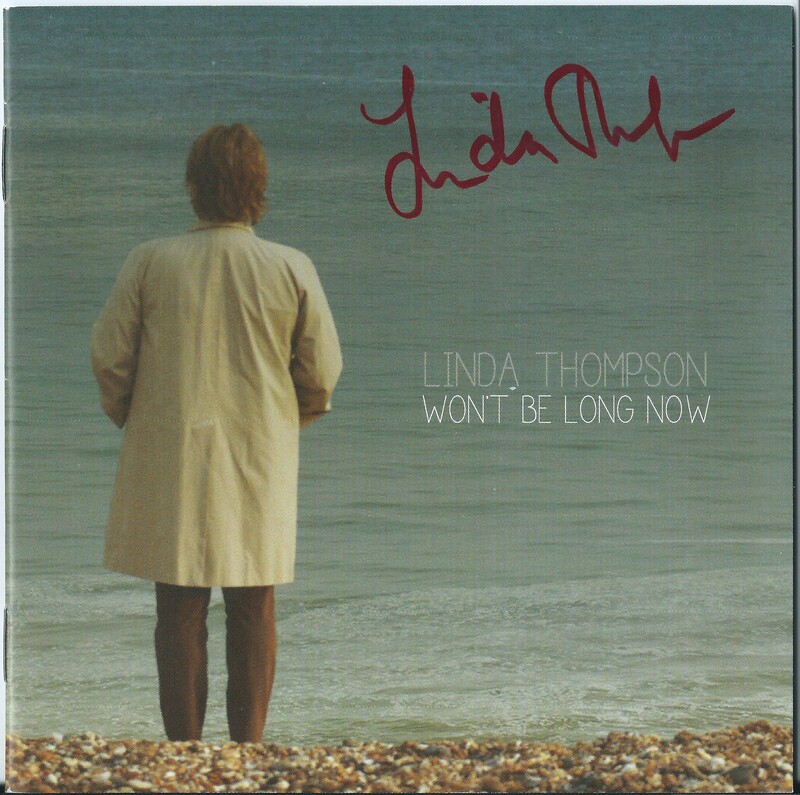 Issued earlier this week on Topic Records (TSCD822) ‘Won’t Be Long’ is the first album from Linda Thompson since 2006 (and only her third collection of wholly new material this century). Although she’s hardly prolific, her albums have always been worth waiting for and this one is no exception. I’ve always loved Linda Thompson’s voice since I first heard her sing alongside former husband, Richard, back in the seventies. It’s an enormously expressive alto – with a slight edge but one that gives it a certain vulnerability rather than harshness. The support cast is pretty classy. The main collaborators are producer Ed Haber and also son Teddy who who supplies the main acoustic guitar parts as well as contributing two of his own songs and co-writing another four with his mum. Others from the extended family also contribute – especially on the Anna McGarrigle/Chaim Tannenbaum song ‘As Fast As My Feet’. I can remember hearing the composer perform this in London at the Shaw Theatre (now demolished) back in the eighties – but I think it only made it onto record last year. The lead vocal on this uplifting uptempo track is taken by daughter Kami while daughter Muna joins Linda on backing vocals. An astonishingly mature Thompson-esque electric guitar solo is taken by Linda’s teenage grandson Zak Hobbes and it also features bass by Jack Thompson (Richard, but not Linda’s son) and drums are provided by Fairport Convention’s Gerry Conway, with whom Linda first recorded in 1972 as part of The Bunch! Other backing musicians include Richard himself, accompanying her with some sensitive acoustic guitar on her self-penned opener, ‘Love’s For Babies And Fools’, which harks back to their work as a duo (“Let better pens than mine/ Extol the joys of love divine/ Before I ruled love out/ I searched every north and south”). In addition there are appearances by David Mansfield, and British folk royalty Dave Swarbrick, Martin Carthy (along with his daughter, Eliza) and John Kirkpatrick. There are nine further songs in the collection, a couple of which are traditional – including a live, unaccompanied version of ‘Blue Breezing Blind’ Drunk’ and one which appeared on the soundtrack of the film Gangs of New York (‘Paddy’s Lamentation’). The song that first grabbed me though was ‘If I Were A Bluebird’ – which shows off Linda Thompson’s melancholic vocal to great effect, contains great guitar from David Mansfield and is the sort of song than in ten years, many people may well think IS traditional. Eagle-eyed fans will note that the image above is from the lyrics booklet rather than the CD cover and is included because it’s autographed!